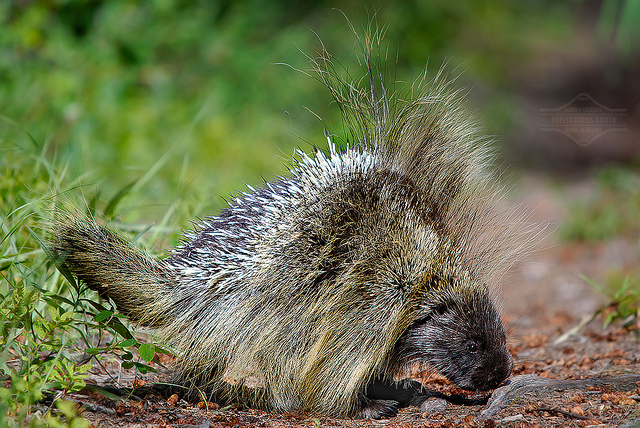 There are 30 species of porcupine. Has about 30,000 quills on its back, sides and tail. Have a coat of sharp spines, or quills. Eats leaves, twigs and green plants. In the winter they eat bark. Have poor eyesight but excellent sense of smell. When not in the trees, they prefer the protection of a den. Dens can be found in caves, hollow logs, under houses and barns.